MAG Optics | September 2018 – Mag Optics has been selected as a finalist to present at the MassMedic MedTech Showcase at Device Talks in Boston on October 10, 2018. 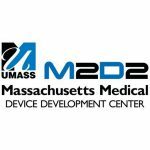 September 2018 – Mag Optics has been selected as a finalist to present at the MassMedic MedTech Showcase at Device Talks in Boston on October 10, 2018. Home News September 2018 – Mag Optics has been selected as a finalist to present at the MassMedic MedTech Showcase at Device Talks in Boston on October 10, 2018. Showcase at Device Talks in Boston on October 10, 2018.